Mountain Mavericks Start Pop-Up Chalet At Castleford Xscape! Mountain Mavericks Summer Pop-Up Chalet At Castleford Snowdome! ‘Pop Ups’ are all the rage at the moment. 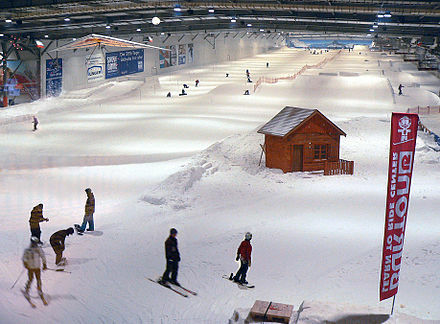 For this reason we are VERY happy to announce that Mountain Mavericks will be doing a summer Pop-Up Chalet at the one and only Castleford Snowdome this summer! Forget that summer holiday to Devon. Head up to Yorkshire and experience the full Mountain Mavericks Experience! Mountain Mavericks Castleford Pop-Up Chalet will be ski-in / ski-out. Prices start from £550 fully catered based on 2 people sharing. Every holiday maker knows that sinking feeling in your stomock whilst skiing down that last run of your holiday. That feeling of sickness knowing that it will be another year until you stay in an alpine chalet, dining on gourmet food, whilst relaxing in the chalet hot-tub after your day on the slopes. Only to be reminded EVERY DAY on Facebook about how much fun you could be having in Morzine. Well grab a Rennie and put that sickness feeling to bed. Located at Junction 32 on the M62 lies Castleford Xscape or ‘Cas Vegas’ as we like to call it. Mountain Mavericks will host a full Savoyard style chalet for week long vacations in the Old Industrial Yorkshire town of Castleford from June – September this summer. No more waiting for winter! Dine on gourmet food each evening including traditional Fondue & Tartiflette dishes. Ski, Snowblade or Snowboard the 170m long piste, running from 10am – 10pm all day every day. Make the most of the local attractions including a bowling alley, lazor quest & cinema. Use our ‘in-resort’ driving service to take you to nearby shopping centre ‘Junction 32’. Get your dancing shoes on for Cas Vegas’s busy nightlife and exclusive Mountain Mavericks Bar Crawl. Flights from London Gatwick to Leeds Bradford Airport take just 15 minutes. Alternatively make the most of the 1400 parking spaces and drive!! 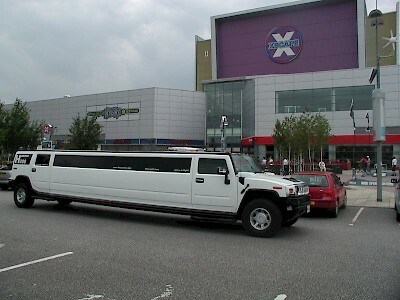 We can even organise you a transfer in a STRECH LIMO! Our Pop-Up is PERFECT for family holidays, boys trips, stag do’s or simply for some quiet solo mountain reflection time. Now. Mountain Mavericks will still be running our usual Summer Chalet & L’Aubergade Hotel holidays in Morzine. However – you will be guarenteed to be hosted by either Olly or Emma Lambourne during your stay with us in Castleford. They will be rotating between Castleford & Morzine weekly. Get in touch to book your stay in Mountain Mavericks Pop-Up Chalet from £550 per week per person. We do anticipate these will sell out by the end of Friday 1st April, so get in touch quickly! Previous: 5 reasons why you should visit Morzine this summer!